Is the curse of Terry Gilliam about to be lifted? Watchmen the Movie is going on general release next month. However much I am looking forward to the Zack Snyder version, I still wish that it had been made by Terry Gilliam. The great maverick director failed to make the movie – twice. 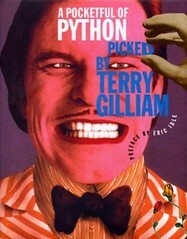 Indeed Terry Gilliam (right) has had more than his fair share of film failures. He has released just one movie, the Brothers Grimm, in a little over a decade. 1) June see the release of The Imaginarium of Doctor Parnassus – which was delayed two years because of the death its original actor: Heath Ledger. 2) The word on the web is that Terry Gilliam’s movie after that will be an adaptation of Pat Ruskin’s The Zero Theorem – and that it promises to be his strangest since Brazil. Billy Bob Thornton is to star. Shooting starts in May. 3) Beyond that, Gilliam has said that he finally reboot The Man Who Killed Don Quixote, with Johnny Depp and, possibly, Michael Palin in the title roles. Is it time to suggest that the curse of Terry Gilliammight finally have be exorcised or am I tempting fate? This trailer to this summer’s eagerly awaited film adaptation of Alan Moore’s Watchman has yet to arrive (although the one above gives us a glimpse of what it might look like). I have been looking forward this film ever since I read the excellent graphic novel in the late eighties. The various shots of the set so far released show that the film’s director Zack Snyder has done well to mimic visual style of the Dave Gibbons, the book’s illustrator, but elsewhere all is not well in the world of the Watchmen. 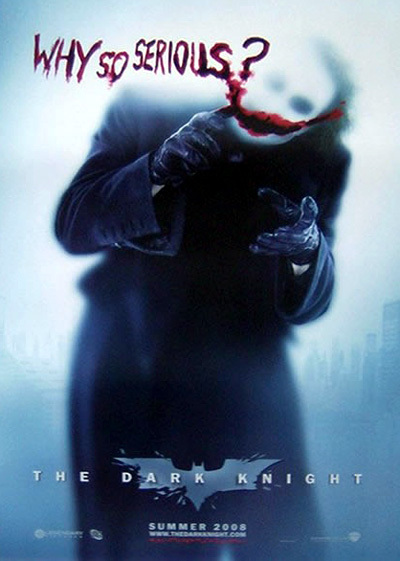 Alan Moore, the novel’s creator, is not happy and has said that he wants nothing to do with the film. Moreover, he recently told Wizard Entertainment that he got sent a contract from the film company a couple of months ago asking for his signature beneath words. “I, the undersigned, hereby give you permission to take my name off of the film and to send my money to Dave Gibbons.” So no filthy lucre, either. Rumour has it that Moore got his fingers burned with the Wachowsik brothers adaptation of V for Vendetta, which wore the clothes of his characters and and spoke the words of his plot, but watered down his anarchist politics (although nevertheless featured a sublime performance from Hugo Weaving as V). Still something of a buzz still lingers around the adaptation of watchmen. Some fans have already having a bit of fun with the cast, images of the set are leaking out of Hollywood on a weekly basis and the first official poster has been released. I’m still looking forward to the movie, but without Moore’s endorsement, my excitement is being tempered.